Spatial Engineering provides a number of methods for collecting or verifying real-world as-built data so that users of the GIS can trust its source for accurate results. For more information or data collection methods or to discuss other methods of data collection that we can help you with, please contact us. 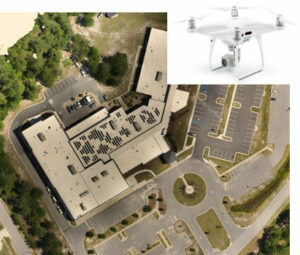 Low cost remote sensing aerial image capturing via drone technology. Up to 20-mgapixels cameras that can cover large areas in a low level flight pattern in a very short time. Our Federal Aviation Administration (FAA) certified remote pilot professionals can provide high accuracy and frequency that can help detect changes in landscape due to man-made or natural activity. Global Positioning System (GPS) surveys are highly accurate method for field verification to sub centimeter accuracy. 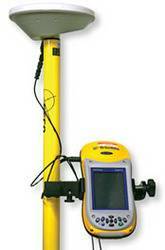 They can also provide control points for remote sensing and can help locate utility nodes quickly and efficiently. Surveying space and how it is used can be costly and time consuming. 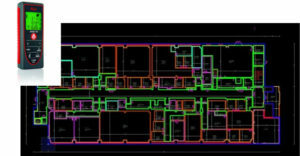 Spatial Engineering uses laser survey instruments, Computer Aided Drafting and Design (CADD) software, mobile devices and custom automated processes to provide fast and highly trusted methods of delivery with a proven quality assurance process.